Wind driven ventilation, as the name suggests, involves harnessing the power of the wind to ventilate your home. Not only is wind ventilation a free, natural ventilation method, but providing that your home has been designed with wind ventilation in mind, it can also be very effective. Wind ventilation is the most common type of natural ventilation. Cross ventilation can be extremely effective. One form of wind ventilation is called 'cross ventilation'. This involves wind entering through a vent (or a window or door), and allowing air to flow directly through the house and out through an opening on the other side of the home. Knowing which way the wind is likely to blow where you plan to build is a good way to plan for effective cross ventilation. Likewise, the position and size of your vents, windows and doors, as well as the path between the different sides of the house, make a big difference to how effectively you can cross ventilate your home. Tip To get the best effect from cross ventilation, open the window that is receiving the breeze a little less than the one on the opposite wall. This will produce a vacuum effect. If not properly ventilated, your roof space could capture as much as 10°C in excess heat, and radiate that back into your home through the ceiling. By installing wind-driven ventilation mechanisms like soffit vents, ridge vents and whirlybirds, you can do a great deal to allow this heat to escape, and to lower the overall temperature in your home. Installing roof-mounted vent mechanisms will work even when there isn't any wind. 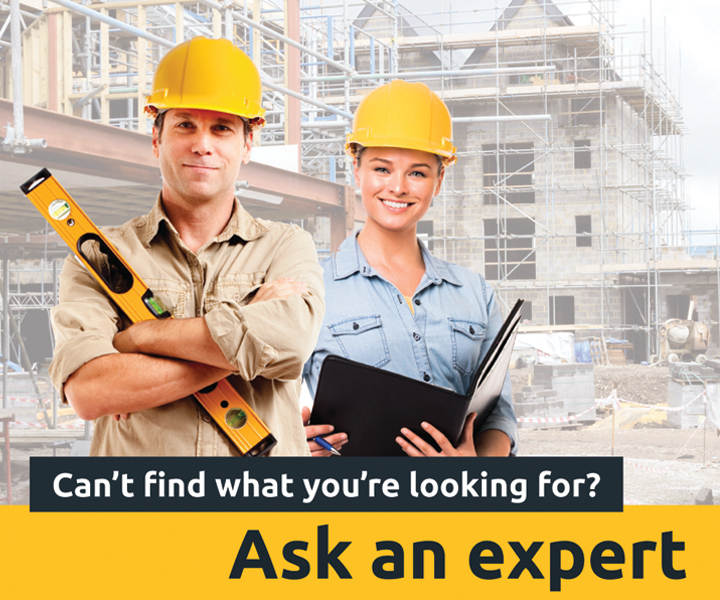 Wind-driven ventilation can also help to ensure you don’t get a build-up of dampness in your ceiling cavity. What factors affect wind ventilation? 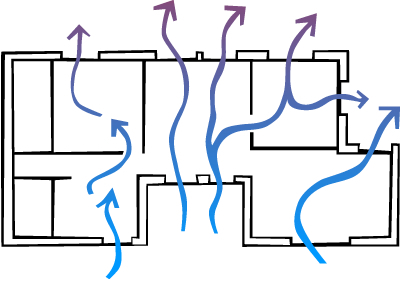 Wind driven ventilation is dependent on a number of factors, including the tightness of the building envelope, the direction and amount of wind available, the potential passage of wind through vents, chimneys and other incidental openings, and of course how well wind is able to travel through the home. In some cases especially where wind is unpredictable or blowing on an imperfect angle, wind ventilation can be improved by directing wind into the home using wing walls and casement windows. Air quality can also affect wind ventilation - if the air outside smells, is polluted, or is loaded with pollen (as it often is in Spring), you may not want it in your home. Likewise, if it's raining heavily outside you may find that this limits your ability to keep windows and doors open - awnings can help with this, though. Many people design their house and interior considering ventilation factor just because a proper ventilation is must needed for healthy living.No one today like to live in airtight house having weird smell all the time.